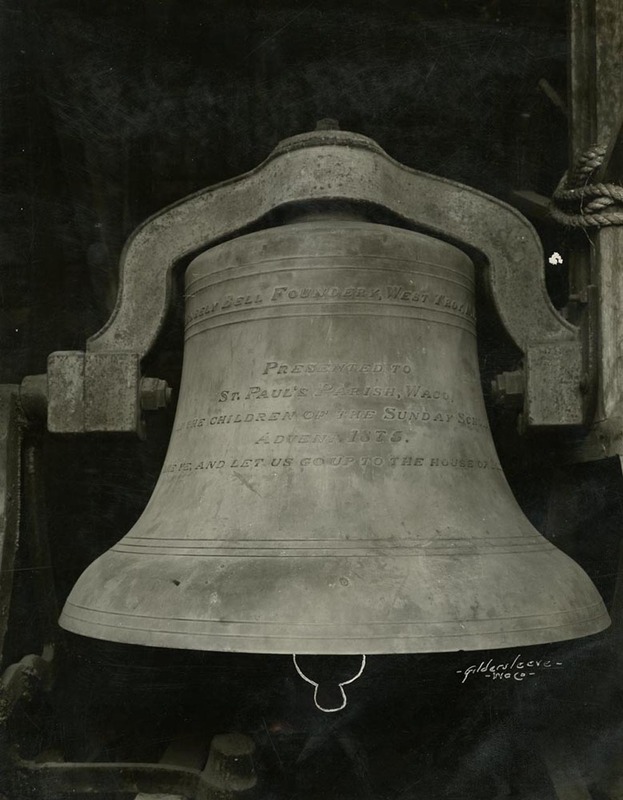 In 1875, the children of St. Paul's Sunday School gifted this 1,029 pound bell to the church to mark the Advent season. The inscription reads "Come ye, and let us go up to the House of the Lord." The photographer drew the bell's clapper onto the image.